Professor Artemis Turret thinks otherwise. The enthusiastic Shakespearean scholar is on a mission to correct the assumption that women of a certain age are not served well by The Bard. As she embarks on her final illustrated lecture to Enfield U3A, the professor hopes against hope that her old chum national treasure Dame Bunti Smart will make her entrance to perform the characters and help her prove her point. What was the inspiration for this performance?I think Helen Mirren said 'there are no good parts in Shakespeare for older women', and I thought I'd see if I could refute that. I know that suddenly women, quite rightly, are taking the men's roles - the wonderful all-female company led by Harriet Walter, Glenda J doing Lear, Tamsin Greig, 'Malvolia', Gillian Bevan, Cymbeline - but I wanted to look at the actual older female roles. Which of course were played by men! But the theatre does have a vital role, maybe particularly now, and is unique as a present-moment experience and place where people come together, to tell and hear stories. How did you become interested in making performance?I'm not sure what this terminology means. I have been an actor for over 40 years; I have also directed, particularly students at many drama schools, and latterly I have written too. This play is directed by Tim Hardy, and between us I suppose we've 'made performance'. If you mean the joy of creating something from scratch, well, I set myself a challenge to write 4 linked monologues some years ago with my first one-woman show 'Are There More Of You? ', and I have sort of gone on from there, with an amazing real-life character in 'Mrs Roosevelt Flies To London' ( Edinburgh 2016 and still touring) and now 'The Power Behind The Crone'. Is there any particular approach to the making of the show?I did the research, deciding which Shakespearean characters - older ladies - most appealed; in this case I also hit on the idea of a framing character, Prof Artemis Turret, passionate academic and one-time student actress, and blended the two. Then I learnt the lines. And got directed - remembering that less is more all the time. And the speeches got cut a bit, and shaped, and I decided how to play the main women and also the people they are talking to, if need be... It grows, and then you prune. You cut some of the jokes..! Does the show fit with your usual productions?It is simpler than 'Mrs Roosevelt'; I have deliberately kept the production to a minimum - hardy any lighting and sound effects, and only such 'costume' as the Professor would have with her, when her chum, Dame Bunti Smart, who was supposed to come along and do all the speeches in her lecture, lets her down. Obviously it's similar, in that it's just me and I play lots of people, turning on a sixpence to do so: in my first show, 4 characters, in Mrs Roosevelt about 27 as well as her!...It's different obviously in that half of it is Shakespeare's words. Oh, and it's just a bit shorter, an hour. I'd also love them to see that theatre, at best, IS 'two planks and a passion' and that all you need is the actor and the writer's words - and that to create character you do not have to go away and look at your navel in a cupboard, but can, as I say 'turn on a sixpence', using the words, and your body, voice, and imagination in an instant, in full view. Also I hope they'll laugh, cry, and in particular have fun with Artemis and the imagined group she's talking to - the keen students of the U3A.. I am not sure what this means - sounds like plotting! If any 'strategy' I suppose - creating the frame of Artemis and the evening class..but that emerged anyway, as I said, and was not a conscious ploy. There is one tiny technical, theatrical trick, which I won't give away here, which I have permitted myself..but even that is not essential to the whole. I really want people to make up their own minds, and hearts. The Power Behind The Crone is a new solo show written and performed by acclaimed actress Alison Skilbeck. Taking the audience on an often comic but always absorbing adventure through some of the best roles for older women in classic drama, Alison illuminates and celebrates seven of Shakespeare’s older women characters, from the vengeful Queen Margaret in Richard III, to the outrageous Mistress Quickly in Henry IV and V, and the outspoken Paulina in The Winter's Tale. Drawing upon her experience both as an actress touring Shakespeare in the USA with Actors From the London Stage, and as a director specialising in Shakespeare as an Associate Teacher at RADA, Silbeck sets out to show that, for women, there is often ‘the benefit of seniory’ when it comes to The Bard. "A consummate performer weaving her way effortlessly through her own finely woven web of fascinating material." Alison Skilbeck's enormously varied stage career has taken her to the West End and all over the UK, and on tour to the USA and Europe: early on she created roles in six Ayckbourn premieres at Scarborough. Her solo play Are There More of You? received 5 star reviews, and has been acclaimed in Ireland, Sri Lanka and the US. Alison's television work includes Sherlock Homes, The Beiderbecke Affair, Miss Marple, Head Over Heels, Doctor Who, Soldier Soldier, New Tricks, and Midsomer Murders. On radio she has worked with Simon Brett, the late Don Taylor, and Ellen Dryden. She was also Polly Perks in The Archers, until the character was killed off! Two recent projects have been Wimpole Street, the award winning web series, and the pod cast sitcom series Wooden Overcoats. She completed an extremely successful run of her acclaimed production Mrs Roosevelt Flies to London at Assembly on the 2016 Edinburgh Fringe, and will tour it this year. Director Tim Hardy trained at RADA, where he has been an Associate Teacher for 20 years, directing Shakespeare on summer courses and on courses for American actors, and serving on the audition panel. He has directed extensively for the English Theatres in Vienna and Frankfurt, and at many American universities, notably Notre Dame and Illinois Wesleyan. His long and varied acting career includes seasons at the RSC, including Peter Brook's Marat/Sade in London and New York, Simon Gray'sMelon at the Haymarket Theatre, and Peter Hall's Lysistrata in the West End and Athens, as well as many tours of the US in Shakespeare with Actors From The London Stage. 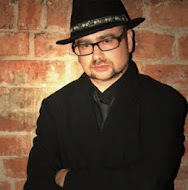 His two one-man shows, The Trials of Galileo by Nic Young, and At the Mountains of Madness by H.P Lovecraft tour extensively throughout the UK, Eire, and America. His TV work includes Jesus in The Son of Man for American television, Galileo in Days that Shook The World, Eastenders, Midsomer Murders, and Casualty 1909. Films include Captain Corelli's Mandolin. Check out my new threads for the Fringe! Mad Cyril Returns: What Kind of an Idiot are You?